Yes. I’m a tad tardy for the pardeee on this one but hey, better late than never aye? 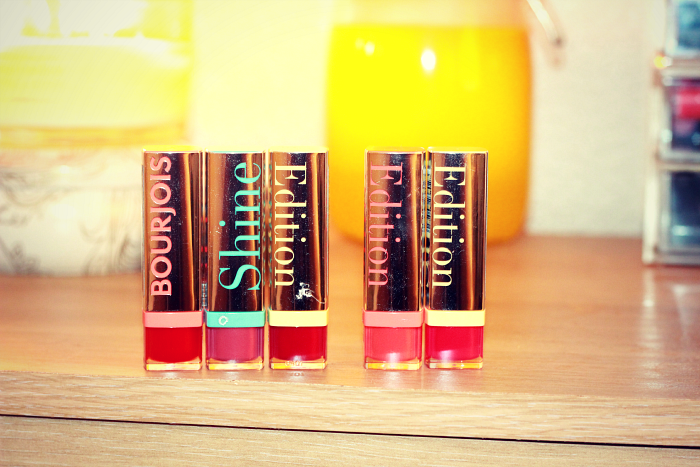 I’m more of a matte/velvet/semi-matte gal myself, however the look and variety of these Bourjois Shine lipsticks drew me in completely. These lipsticks came out a couple of months ago to a generally positive review and since I’m such a fan of the rouge collection, I thought I would try these ones out. 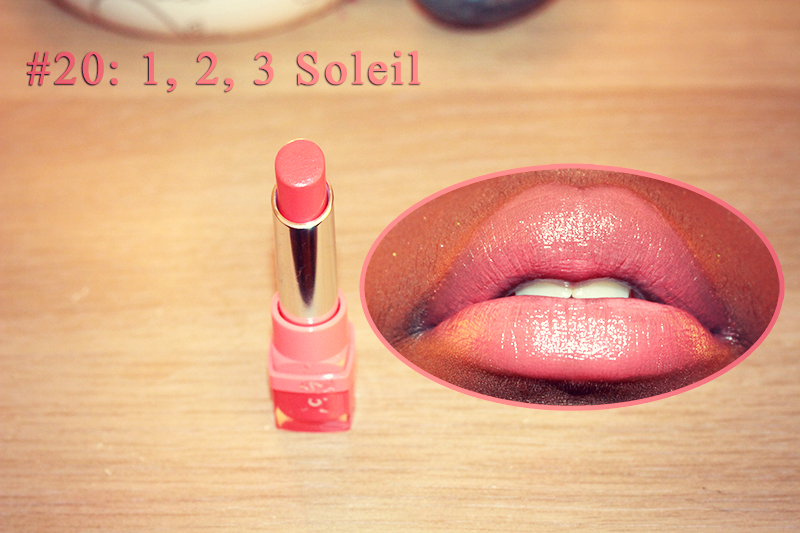 1,2,3 Soleil is a sort of rose tinted -coral-orange shade which I’ve been itching to try for a while as orange is scarce territory for moi. The slight rose tint makes the transition to orange a bit easier as it’s a very buildable colour. Making Of is a muted red with slight orange and yellow tones and is incredibly sheer. I would have loved this if the colour was more intense. Famous Fuchsia is my favourite of the lot. I love a good blue-based pink! 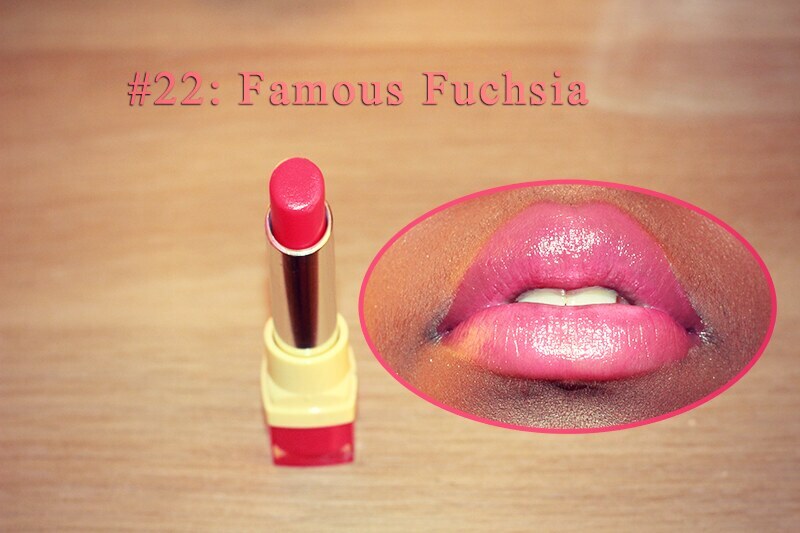 This applies on the lips wonderfully and it’s a shade I would definitely re-purchase. 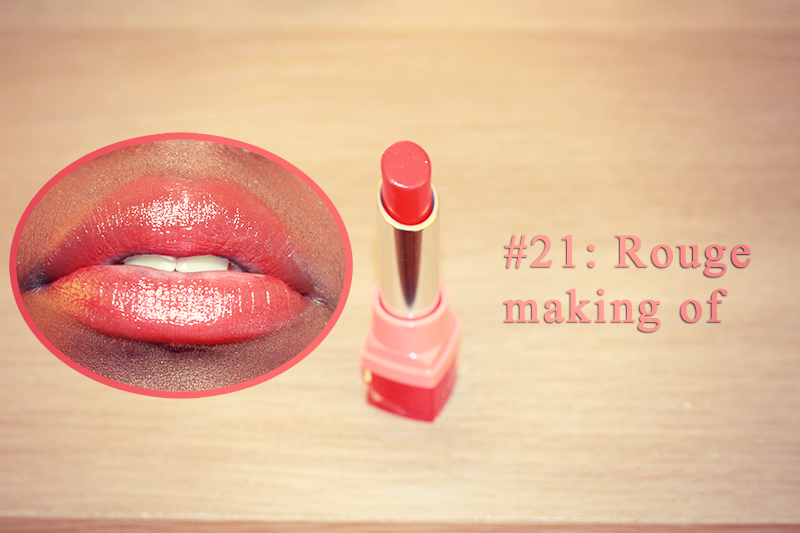 Good for those who want to transition into shocking-pink lips. 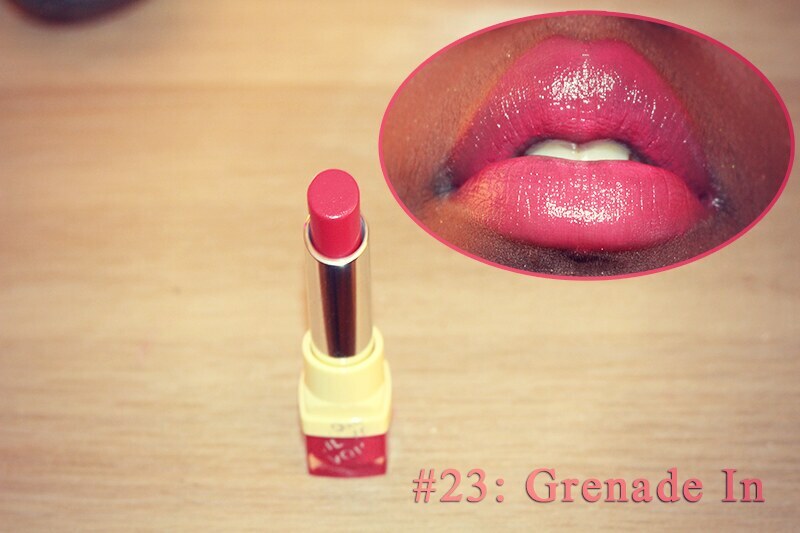 Grenade In is another pink which is about a shade darker and is more of a sheer sheen than a “stain”. 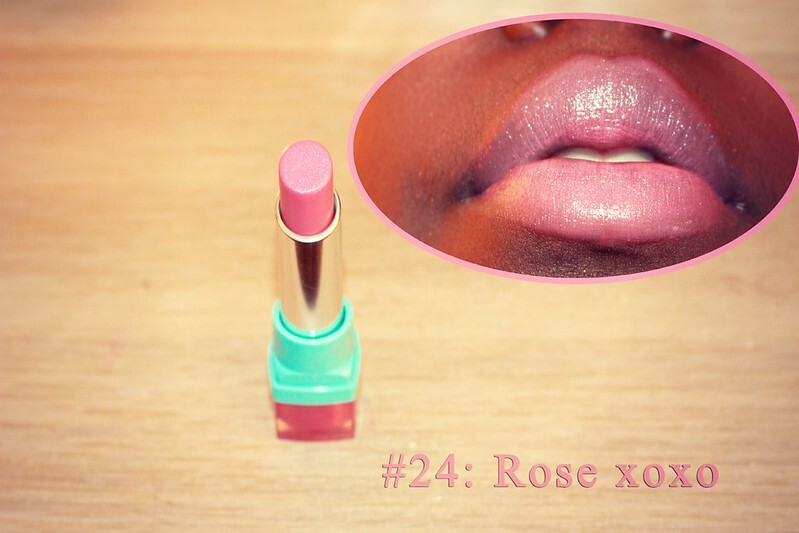 Rose xoxo is a shimmery dusty pink shade which is also quite sheer. I think this may be my least favourite out of the lot as I’m not a fan of shimmer and add to that the fact that the colour does not suit my skin tone at all. At first glance, you would think that the lipstick would have the same texture as the lip butter/balm type products – however the formula of these lipsticks are creamy, soft and moisturising on the lips. 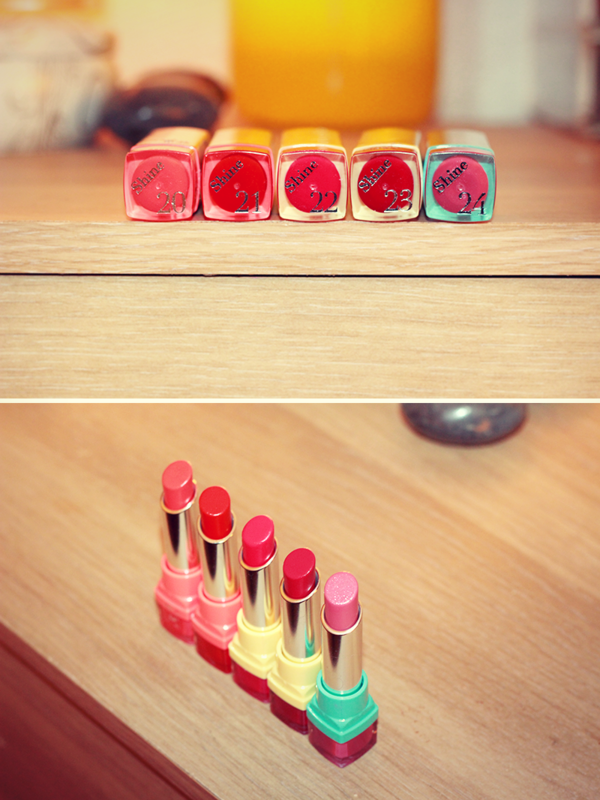 I’m very big on packaging – so the lipsticks get a mahoosive thumbs up from me! The packaging is cute, chic and pretty snazzy. Overall, I’m impressed by the products and can’t wait to get them into my lipstick rotation. Previous Post An Evening With Pur Minerals.